I only knew of Spalding as a sporting goods company but I never realized there is also a line of stationery and leather goods. This sporty pocket pen was a gift from distant relatives from the Italian side of our family. The minimalist white pen with smart black lettering pairs up nicely with this Franklin-Christoph black ink with a hint of blue. 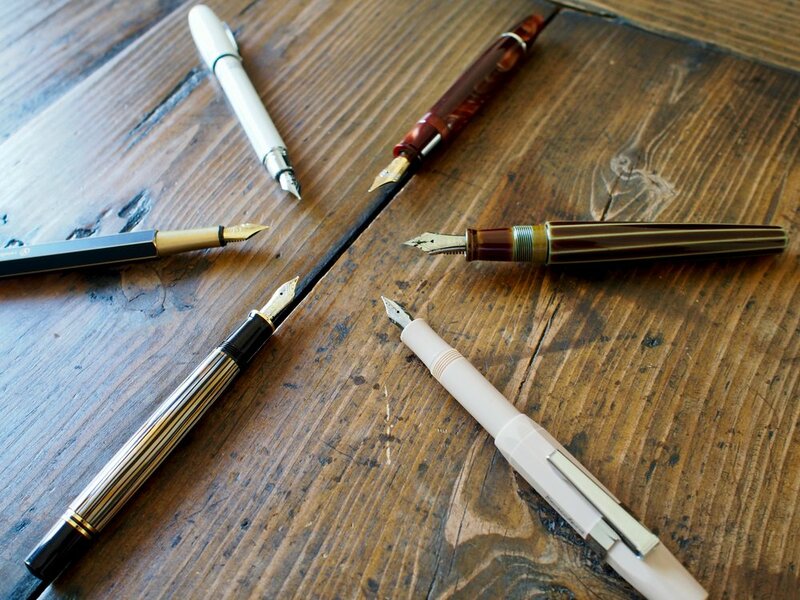 I've been coveting this pen from the numerous Instagram and Twitter posts on constant display. I thought a dark ink with a hint of green would be a good match for it. This is a pairing that matches up perfectly. 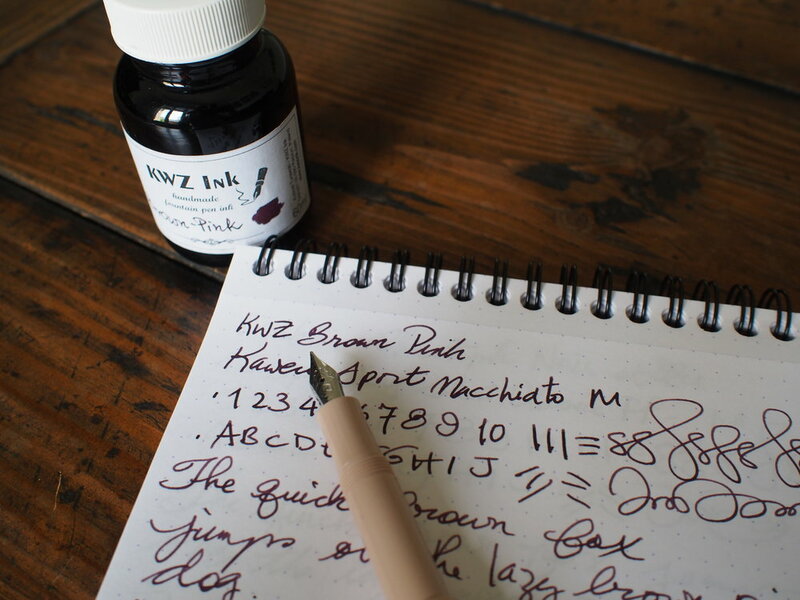 The brown green pen body with the brown green sheening ink. It's been a few months since I last inked up this pen and I thought it would be delicious paired with KWZ Honey. 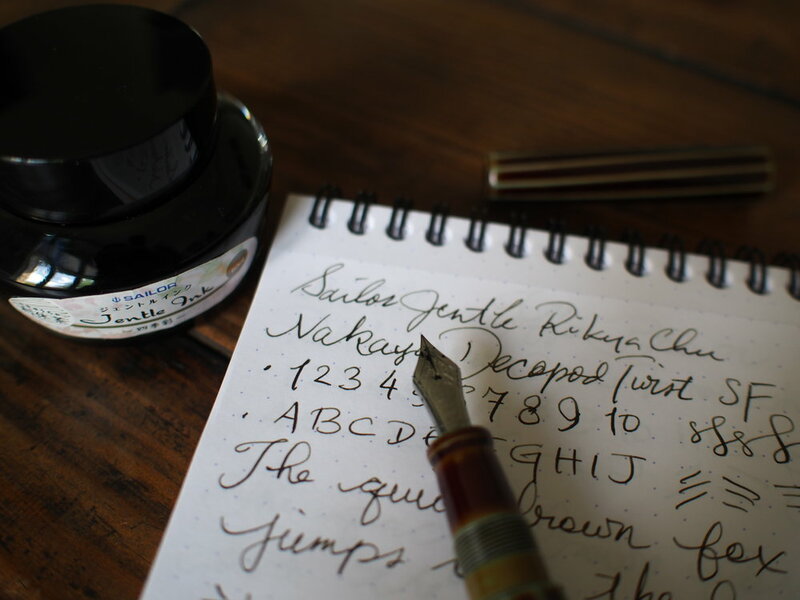 I wanted to see what this juicy nib would do with Honey. After I inked this pen up, I thought that the Montblanc Toffee Brown is more matchy matchy with the Bexley. Still, I love this Pelikan brown tortie and I love Montblanc Toffee Brown, so all is good. This is my first Kaweco Sport in resin body...my other Kaweco is a Brass Sport. 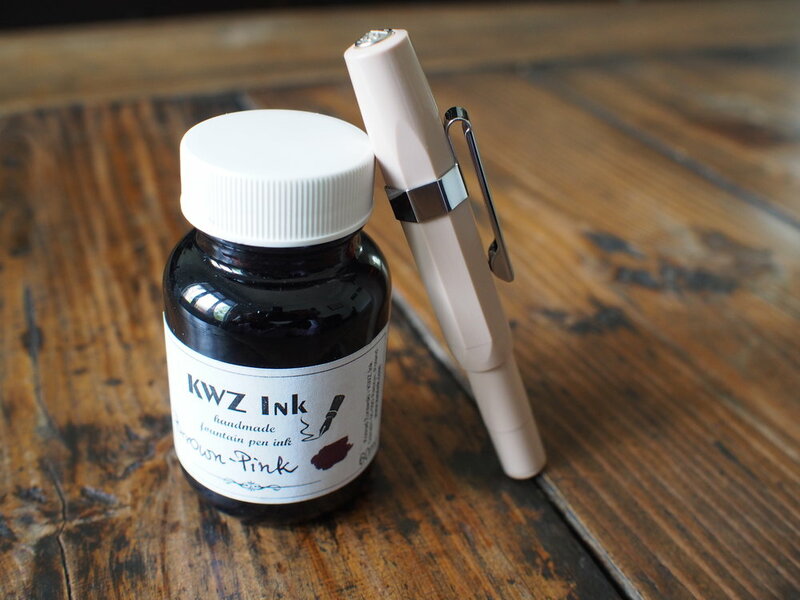 I thought it would be perfect to carry off the odd colour that is KWZ Brown Pink. 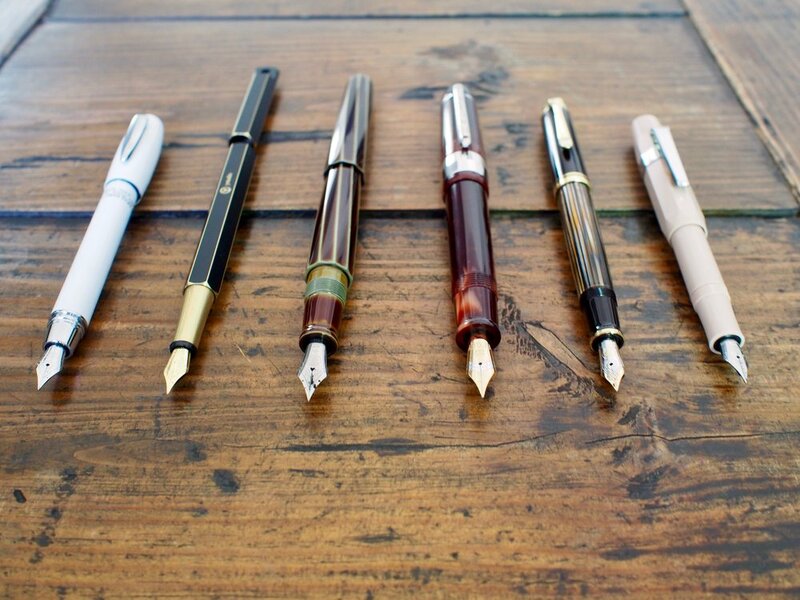 So how many pens do you have inked up for June? 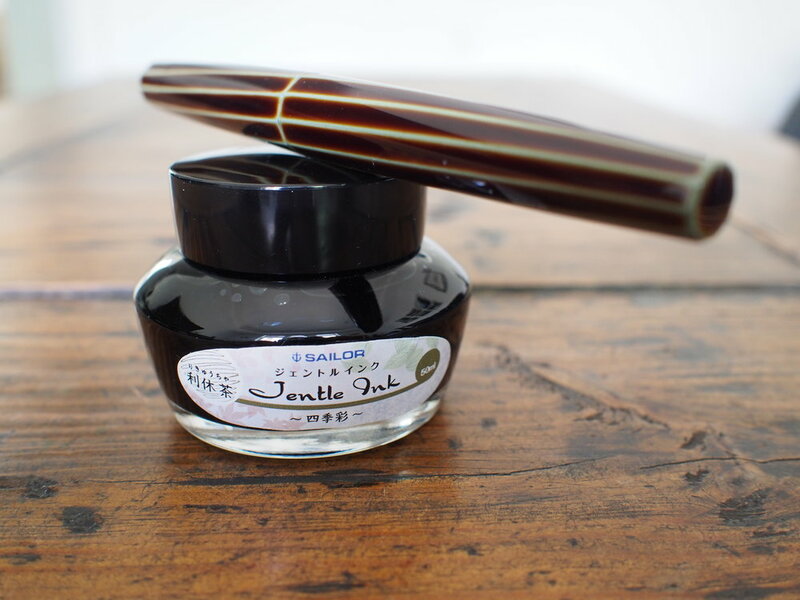 What are your favourite pen and ink combos?